Home » Uncategorized » Why does that name sound so familiar…. Why does that name sound so familiar…. Here is an old document dug up from the Vancouver archives. 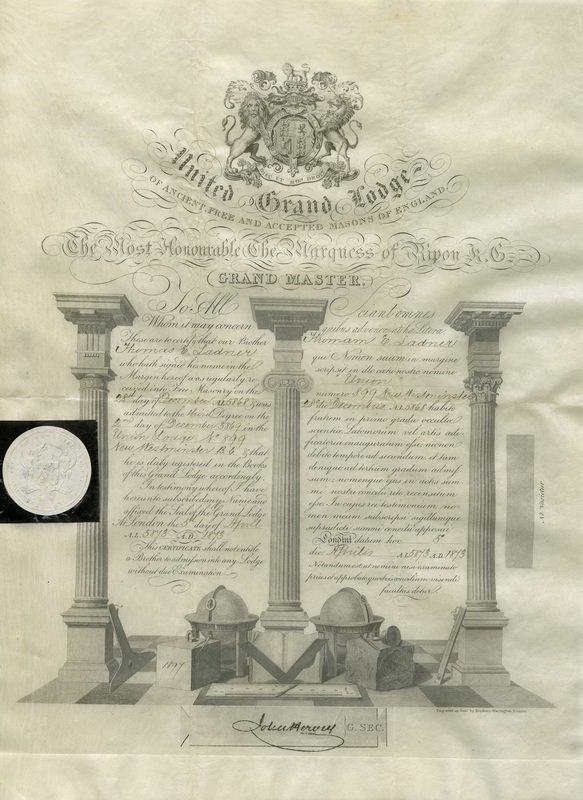 There is no question that freemasonry attracts good men of all rank and fortune and provides them with the tools to better serve their communities. You will often times find streets and monuments named after our distinguished brethren. Here is a historic document that was found in the Vancouver archives that belonged to Thomas Ladner, one of the founding brothers of Ladner’s Ancient Light Lodge #88. Click on the document below to see a larger version.